Hospice fraud is a massive problem. Our whistleblower attorneys will represent employees and former employees of hospice care providers who possess evidence of Medicare fraud and wish to report it to the United States Government and Centers for Medicare and Medicaid Services (CMS). Whistleblowers have helped the U.S. recover millions of dollars lost to hospice fraud over the past decade or so. Below, we detail many of the issues that have been reported by past hospice whistleblowers witnessing health care fraud at their facility. We discuss the False Claims Act, which is one of the primary mechanisms for reporting these types of case and beginning a government investigation by alerting the Department of Justice. Our lawyers offer a free, initial consultation with potential hospice whistleblowers. Please call 1-800-590-4116 or fill out our contact form for assistance. Medicare spending for palliative care has doubled over the past decade to reach $15 billion a year. There are approximately 5,800 hospice programs nationwide providing care to approximately 1.5 million patients every year. Around 41% of those individuals receive care in a private residence while others receive it in a hospice inpatient facility, nursing home, acute care hospital or residential facility. More than 80% of the patients receiving hospice care are insured by Medicare. With that increase in spending, there is also a concern that hospice fraud has grown. Although hospice services were initially non-profit facilities, the space has now been occupied by large, profit-seeking corporations. More than 50% of hospices are now for-profit operations compared to only 5 percent in 1990. Many newspaper reporters have written about the differences in the statistics between non-profit and for-profit institutions in hospice. For-profits tend to have patients enrolled longer, discharge more patients alive, and more frequently exceed the Medicare annual cap on the average cost of caring for patients. The care of individuals through hospice without an expected medical prognosis of six months or less to live due to a terminal illness is improper. Individuals receiving palliative care must forego curative treatment. The improper payment of providers such as doctors or nurses for referrals of patients in violation of the Stark Law or Anti-Kickback Statute. This includes the hiring of medical directors based on their ability to refer patients. Relationships between nursing homes and hospices are also vulnerable to fraud and abuse according to an OIG alert issued in 1998. Many of the False Claims Act lawsuits alleging hospice fraud have centered around the end-of-life certification. Medicare pays for hospice and palliative care so that patients receive appropriate comfort and quality of life either at home or in a facility during the final months of their life. Since patients forgo curative care, hospice care is offered to people who have a life expectancy of six months or less. A hospice medical director or other doctor must initially certify that the patient has a terminal illness and the medical prognosis under the normal course of the illness is for six months or less of life. The certification of the terminal illness must occur no more than 15 days before hospice care is elected and no later than 2 calendar days after the start of the benefit period. At the start of the hospice patient’s third benefit period and with each subsequent recertification, the recertification must include a face to face encounter with the patient by a hospice physician or nurse practitioner. The provider must attest to the clinical findings and the date of visit. The face to face encounter must occur within 30 calendar days prior to the start of the benefit period. For a new admission in these periods, the encounter must take place within 2 days of admission. The regulations in this area are complex and these are just a few of the rules regarding the hospice certification and recertification requirement. If you are aware of an organization that you suspect is improperly certifying terminal illnesses in hospice patients, please contact our whistleblower attorneys to discuss how to report it to the appropriate authorities. The majority of hospice fraud cases start with a tip from a whistleblower. The False Claims Act provides a mechanism for employees, former employees and other individuals with nonpublic information about health care fraud and other false or fraudulent claims for payment or statements. 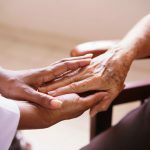 All of the major hospice national hospice providers have been accused of fraud at one point, according to a paper in the Atlanta Criminal Law Review. In total, the United States has recovered more than $100 million from the fraudulent claims of hospice providers using the False Claims Act. The Centers for Medicare & Medicaid Services (CMS) and the Office of Inspector General (OIG) both provide mechanisms for individuals to report Medicare fraud and abuse of the system. However, these avenues have a much lower potential reward (max $1,000) according to the Medicare website. In 2013, Health and Human Services proposed an expansion of the maximum reward for tips to $9.9 million. However, we haven’t seen any news articles about the implementation of this higher reward yet or any mention on their website. The False Claims Act offers rewards to whistleblowers (known as relators) of between 15 and 30 percent of the amount recovered by the U.S. Government. In cases of substantial fraud, relators have earned tens of millions of dollars for reporting corporate wrongdoing as their is no fixed dollar cap on the maximum potential government reward.